The neck supports the weight of the head and protects the nerves that run from the brain. This section has seven vertebral bones. The bones get smaller as they get closer to the base of the skull. 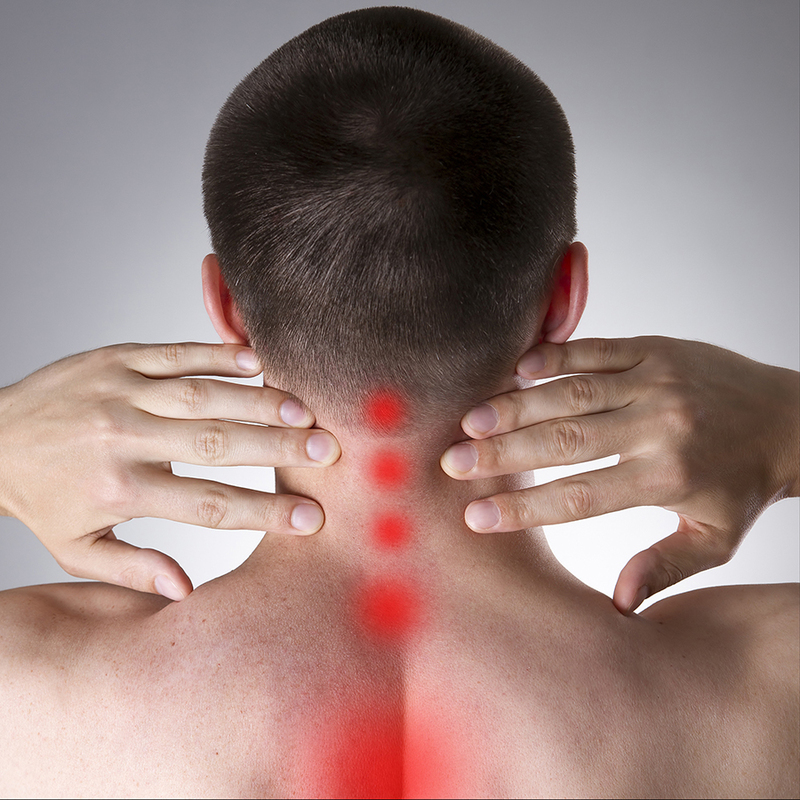 Neck pain is typically muscle related and the result of an injury or accident. The problem is if neck pain lasts longer than two weeks to three months. If numbness or tingling is radiating down the shoulders and/or arms, a pinched nerve could be to blame. If the pain feels sharp, it may be due to degenerative issues, a herniated disc or a muscle strain. What are some causes of neck pain? For both neck and shoulder, pain movement exercises may help. However, in cases where the nerve roots or the spinal cord are involved, surgical procedures may be necessary. How Are Neck and Shoulder Pain Diagnosed? X-rays: Plain X-rays can reveal narrowing of the space between two spinal bones, arthritis-like diseases, tumors, slipped discs, narrowing of the spinal canal, fractures, and instability of the spinal column. MRI: Magnetic resonance imaging is a noninvasive procedure that can reveal the detail of neural (nerve-related) elements. Electrodiagnostic studies: Electromyography(EMG) and nerve conduction velocity (NCV) is sometimes used to diagnosis neck and shoulder pain, arm pain, numbness, and tingling.